World #1 US Pennsylvania Cherry. Nice pinkish red for the superb rich. US White Oak 13,200BDFT(NET) or 31.148m3(NET) into 40' container. NAEC Lumber exports top notch North American Hardwood including Maple, Walnut, Cherry, Birch, White Oak, Red Oak, Hickory, Elm and Poplar to the rest of the world. We are also shipping out softwood Southern Yellow Pine(SYP) and Cypress. Clients come from Russia, China, Japan, Korea, Thailand, Israel, India, UAE, Czech Republic and many other countries. Our KD Lumber comes from many reputable mills in Wisconsin, Illinois, Iowa, Missouri, Ohio, Pennsylvania, Alabama and Tennessee. Each mill is specialized on specific lumber species. Thus, all of our export clients will receive the best quality US KD Lumber at competitive pricing. For example, our top-rated, black-steam Walnut comes from Iowa. The heartwood and dark color will be evenly spread across the piece of Walnut lumber. If you order our White Oak KD Lumber, all boards will be wider and longer compared to many of our US & European competitors. Our unique light pink Pennsylvania Cherry KD Lumber is the best in the world and is used by the rich and famous, 5 to 6 star hotels, restaurants and furniture makers. 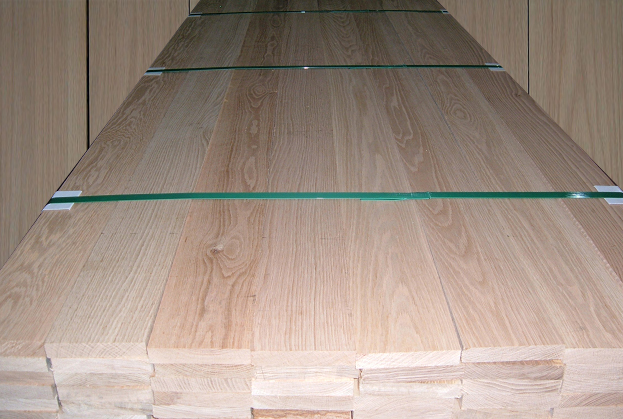 Our white maple is sold to top quality piano makers and many flooring plants across China. Cargo Insurance Freight your Port in US$ Matrix Systems(m3). Many US mills only quote FOB Mill and in American Board Feet Gross and Net terms. Deliver by one of the largest North American lumber logistics companies with tracking number and sales support stuff plus insurance. Export papers are done right in the 1st time.